Chinese astrology is an ancient philosophy and form of fortune telling that is interpreted by knowing the exact day of a person’s birth, and using charts of the sun and the major planets allows practitioners to develop a horoscope and life chart for the person whose fortune is being determined. In common with western astrology, the Chinese variant is believed to be useful in predicting a person’s character and their potential for happiness and success in life. Forms of ancient Chinese astrology have existed since the dawn of civilization along the valleys of the Yellow River in mainland China, although parts of the mythology may even predate the first human settlements and could be shamanic in origin. Archaeological evidence from between 3000 and 4000 Bc, about 5,500 years ago suggests that ancient Chinese rituals were already developed and that the Chinese Zodiac was already known. Earliest myths in Chinese history suggest horoscopes were being prepared at the court of Emperor Huang Ti, who is considered the first true emperor of China and is believed to have lived in the 26th century BC, well over 4,500 years ago. The first written horoscope known to archaeologists which includes the 12 zodiac signs dates from sometime in the Shang dynasty (began 1760BC) and was written on a tortoise shell. Nobody is certain when Chinese astrology developed it principles and who first suggested using animals for the names of the years, but we do know that for most of the last 2,500 years Chinese astrologers have used a 12 year cycle, each named after an animal, and with the addition of a major planet for each cycle giving Chinese astrology a 60 year cycle before the names of the years start to repeat again. Each year is named after an auspicious animal from Chinese mythology, the rat, buffalo, tiger, rabbit, dragon, snake, horse, goat, monkey, rooster, dog and boar, each of which are considered to have both positive and negative qualities although the negative qualities are rarely considered character flaws, rather lacking certain prowess. The five planets known to ancient Chinese astronomers were Mercury, Venus, Mars, Jupiter, and Saturn and each was associated with a natural element, water, metal, fire, wood, and earth respectively. Nobody is quite sure how the signs of the Chinese zodiac came to be known after animals although legends from China tell of several beautiful stories. 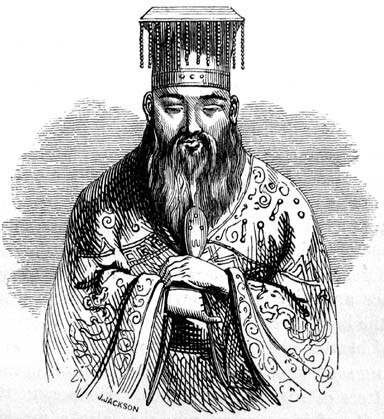 Probably the oldest origin lies with the Jade King, an ancient Chinese god who predates Confucianism or Buddhism and who had been so busy creating the earth and all its magnificent rivers, mountains, oceans, and all of the animals and then became disillusioned with men who he considered disloyal and a terrible influence in his creation. Deciding to set some rules for men to live by and curb their natural urges to destroy their surroundings he looked down from heaven for a person who would be respected by men and be able to enforce the Jade King’s rules. Not seeing anyone suitable since all men were only interested in their own welfare he invited all the animals to meet him and enter a race to decide the 12 animals who would be given the honor. In some legends the race was a fair distance over mountains, across deserts and a mighty river before finishing at a small village, but in other stories the race was a simple affair requiring only a short run followed by a river crossing. In any event the order of the animals winning the race is always the same, being won by the rat who hitched a rid on the back of the ox and scampered off it’s back as it reached the opposite shore. The ox came second closely followed by the tiger, and then the rabbit to everyone’s surprise. The dragon was next, and should have won the race but was a kindly soul who kept stopping to help other contestants. The snake hid in the hoof of the horse and then startled it at the finish to claim the 6th position. The ram, monkey, and rooster all arrived together after working as a team, followed by the dog who had stopped to bathe in the river, and lastly the pig who needed a meal before attempting the river crossing. Later legends tell that the Great Buddha called the animals to a meeting just before he attained the final nirvana to pass on his wisdom and some advise to the animals who serve men, but only 12 animals turned up and they were each granted a place in the Chinese zodiac as their reward. The Buddha is reputed to have lived in the 25th century BC whilst the Jade King was known before this time so we must assume that the buddhists of the time adopted Chinese legend around the time that Buddhism was gaining popularity in China. We know that at the time of Confucius, about 100 years before the birth of the Buddha that Chinese astrology was an important part of both court life and also of the ordinary citizen with Confucius himself quoted saying “Heaven sends down its good or evil symbols and wise men act accordingly”, and not long later the great Chinese astrologer Zou Yen who founded the School of Yin-Yang writing in the 2nd century BC that “When some new dynasty is going to arise, heaven exhibits auspicious signs for the people”. Historical writings from the Tang dynasty which began around 600 AD attest to there being an encyclopedia of astrology in existence which defined every part of Chinese astrology and offered details of how to prepare a horoscope in accordance with the principles of Yin and Yang and Feng Shui. By this time Chinese astrology as we know it today was more or less completely known and understood, and had spread to other parts of Asia under Chinese influence including Japan, Korea, and Vietnam. Chinese astrology remained largely unknown to the western world until the 17th century when trade with China started in earnest. The huge interest in Confucianism at the time exposed western astrologers to Chinese thought, though it wasn’t until the 20th century that Chinese astrology gained many adherents outside of Asia. The late 20th century, especially the 1990s witnessed a proliferation of books being published on Feng Shui and Chinese Astrology leading to many westerners adopting Chinese traditions in their own lives. of o? NFORCE card? or els? t?e flas? ?ng of the ROM will fail. tthe best s?rvices when it comees to editing your rosters files to up your game. gamke console, smartph?ne orr tablet. it can diminish your milk productio?. This fluctuati?g levels of ones bodilly hormon?w? would ?e the main answer why ?ou.